FindACode.com is pleased to offer CEUs from Compliant Coding Academy, one of our educational partners, at no extra cost to our Subscribers. Please Sign In or Subscribe Now to start earning free CEUs today! To list your product or service here please Contact Us. CCO will help new and seasoned medical coders, billers and practice managers with their certification education – first to get certified then to maintain certification. This is done via articles, videos and practice questions many of which are freely available through out the site. Some are paid products like our popular Coding Certification Review Blitz and CEU On Demand Classes and Physician Based Coding Course. We have a discussion board where aspiring coders can ask their questions about getting certified and one where certified coders can discuss ways they've maintained their CEUs for their respective credential. A complete “No-Fluff” course that will teach you the core essentials of Risk Adjustment AND prepare you for the CRC™ Exam. The 4Med CICP program describes the key changes in coding with the implementation of ICD-10-CM Diagnostic Coding. The course enables coders and others responsible for coding to translate their knowledge of ICD-9-CM to the new version of the classification system. The course is designed as a bridge between the coding sets. The course includes new conventions and chapter specific coding guidelines, with a comprehensive description of new concepts and protocols in the expanded code set. It focuses on chapters that contain significant changes to coding protocols. The course includes all required supplemental materials, including the ICD-10-CM Official Guidelines for Coding and Reporting 2014. The course offers 10 AHIMA CEUs. Get 20% off. Apply coupon code FIND20 during check-out. 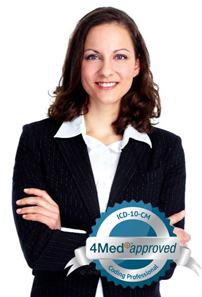 The 4Med+ CIPCP program provides education on ICD-10 that is tailored for physicians and other clinical providers. The course does not require any previous experience with the International Classification of Diseases (ICD) system, though most providers will be somewhat familiar with ICD-9-CM. This course is not designed for professional coders, and it does not focus in depth on the codes themselves. Instead, the course focuses on the information that providers need, especially the documentation required to support proper ICD-10 coding. The course also includes the entire ICD-10-CM coding set, including the ICD-10-CM Official Guidelines for Coding and Reporting 2014. 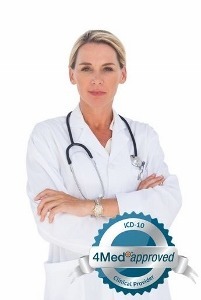 Successful completion of this course awards a Certificate of ICD-10 Proficiency for Clinical Providers which has been reviewed and authorized by the 4Medapproved professional medical and technical advisory boards, in partnership with Libman Education Inc., a leading provider of online coding education. Become a CMRS - Certified Medical Reimbursement Specialist or update your CEUs. BC Advantage is an industry magazine and online CEU Center providing low-cost educational resources for medical office professionals. A must-read resource for physicians, practice managers, office managers, billers, coders, consultants and anyone involved in medical documentation, coding, billing and reimbursement. Many organizations offer CE credit. If your organization is not listed, ask if they will offer credit. They may have their information added to our list by contacting us. Free CEU's for Find-A-Code Professional and Facility Subscribers. FindACode.com is pleased to offer CEUs from Compliant Coding Academy, one of our educational partners, at no extra cost to our Subscribers. Click the "Go To Compliant Coding Academy CEUs" button below to open a new tab and begin earning CEU credits today! In addition Compliant Coding Academy offers 2 new CEU presentations each week* and a program of one year of access for just $19.99. That is 104 CEU opportunities each year for less than $20. Compliant Coding Systems is an AAPC Approved CEU Vendor. AHIMA Members, see page 12 of the CCHIIM Re Certification Guide for information on the acceptance of CEUs from other organizations. This may be accessed here. Compliant Coding Academy also offers industry leading courses in such areas as Inpatient Coding, Clinical Documentation Improvement, Risk Adjustment, and more that often carry CEU value and other terrific benefits. Visit the industry leader in Medical Coding and HIM Training. Every AAPC certified medical coder and biller is aware that to maintain your hard earned credential you need to obtain your Continuing Education Units (CEUs) every year. CCO wants to make the process of maintaining your AAPC certification as easy and as low cost as possible with our low cost AAPC Continuing Education Units (CEU) credit courses. Below you will find a listing of all our Continuing Education Units (CEU) online credit online courses.